A sushi shop in a great location right next to Uozu Station, where you can enjoy the freshest toppings sourced directly from Uozu Port. 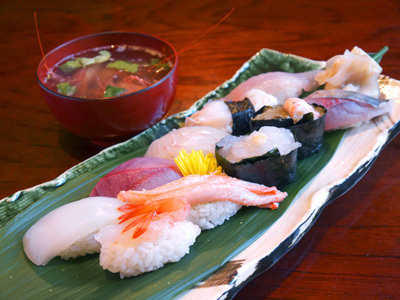 The rice used at Tasukezushi is supplied by a farm that grows rice that pairs exceptionally well with the shop's toppings, through an exclusive contract. The black scraper, an Uozu-brand fish, is also popular during its season, in January and February.